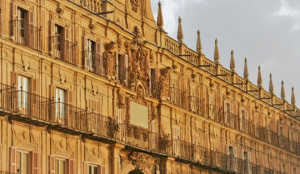 A group of Year 10 & 11s headed to Salamanca at half term for a five day trip, keen to brush up their Spanish language skills. 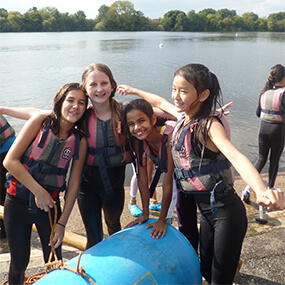 Girls stayed in pairs or threes with Spanish families during the stay to maximise Spanish speaking opportunities, having breakfast, lunch and dinner as part of their homestays. 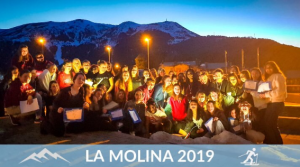 The group was split into three and spent the mornings at the ISLA Language School where they were taught by Spanish native speakers, focusing particularly on grammar and vocabulary relevant to the IGCSE. 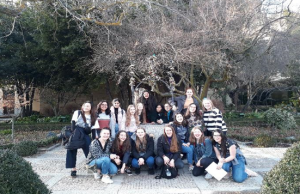 On the first afternoon, the girls were given a guided walking tour around the beautiful ancient university town followed by a wonderful night stroll around the Plaza Mayor the next evening, which inspired some excellent entries in our photo competition. Spanish food was a definite highlight of the week with a tour of the Central Market, a Spanish cookery lesson and of course, chocolate con churros all featuring. In the evenings, girls were also given the opportunity to take part in karaoke and dance lessons. Thank you to the MFL Department for organising a great trip! 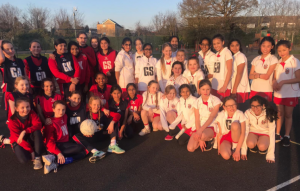 NHEHS fielded six U12 teams for the friendly netball fixture away at Lady Eleanor Holles school on 25th March, winning four, drawing one and losing one of the closely contested matches. 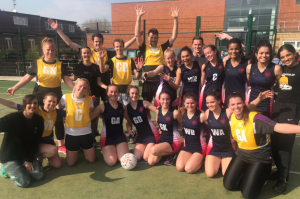 For the final fixture of term, we hosted Godolphin & Latymer School on the 28th March. 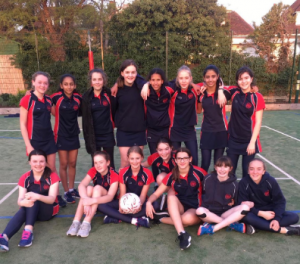 Our U15A team narrowly won 20-19, while our U14A lost 15-30 (MVP Isla & Ayna) & U14B lost 25-8 (MVP Omamakpo). 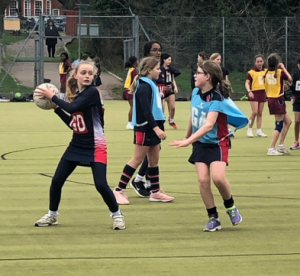 The U13A lost 10-28 and the U13B won 20-5. 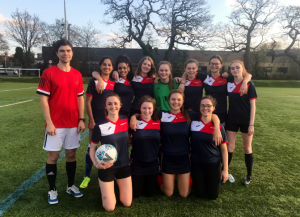 Godolphin & Latymer also provided the opposition on 26th March for our first XI football who played out an entertaining 3-3 draw. 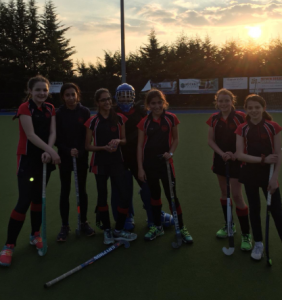 We also took on G&L at hockey on 25th March, with our U15A & first XI teams losing 1-3 &1-4 respectively. 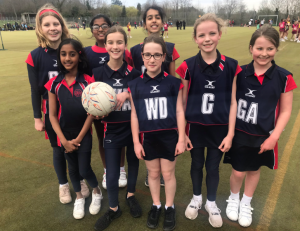 Our U12 teams took on Radnor House, with the As losing 2-4 but the Bs winning 5-1. Well done to the staff football team who won 3-0 with no red cards this year! 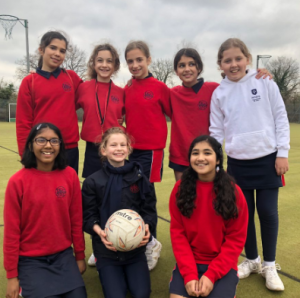 In a very competitive tight netball match, the pupils team won by one goal 15-14! What Could You Do With A Tenner? This was the challenge presented to our Year 9s. Groups were given £10 per person and in four weeks they had to make as much money as possible. At the end of the four weeks they give back the Tenner with an extra £1 and get to keep the profit they made or, as often happens, give some of it to charity. 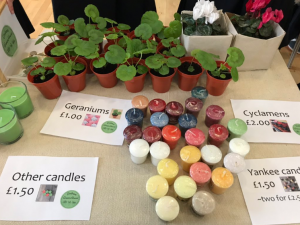 The Tenner Project is run by Young Enterprise which encourages entrepreneurial traits in young people. 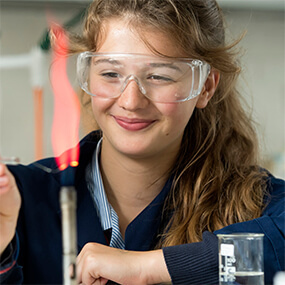 This programme is a great way to help students develop key employable skills that they will use later on in life. 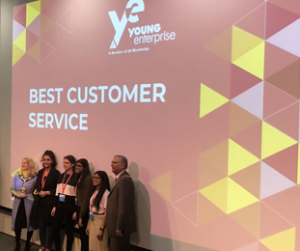 It’s an incredible opportunity for young people to learn to run an enterprise for a few weeks as it differs vastly from activities normally found in the curriculum. 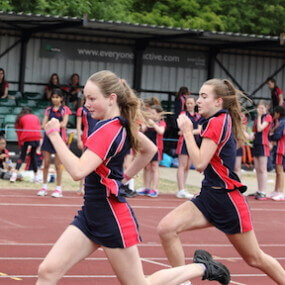 Each year, girls in Year 9 take part in the challenge to raise as much money as possible. This year, ideas have consisted of earrings, scrunchies, bath bombs, candles, clips, bags, face masks and even plants! At Tuesday lunchtime they held a fair in the main hall to sell as much as possible. The room was filled with people wandering from brightly coloured table to table, each with an enthusiastic group of Year 9s desperately trying to sell their products behind it. I was able to speak with some of these girls and talk to them about their experiences with the Tenner Project. 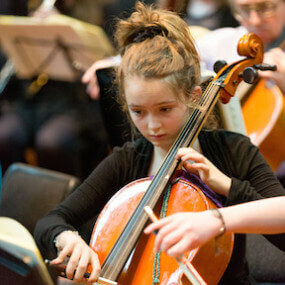 “I think it’s a really great experience to get young people to try something new. It requires you to be creative and hard working for the products to be successful.”, said one girl. “It is a very fun challenge that I have enjoyed much more than I initially expected. It has definitely made me consider starting a business when I am older.”, explained another. Last year the group Offrez-vouz won by making a profit of £312 in the four weeks. They sold a range of items for e.g. bath salts, cookies, brownies, and Mother’s Day hampers. We will see if any group this year is able to beat this impressive sum of money. 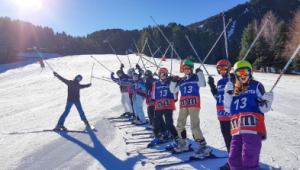 In the February half term, a group of NHEHS girls and teachers flew off to the snow and sunshine in the Pyrenees. Here’s what they got up to. Around 2:30pm, 60 Notting Hill and Ealing girls flooded Heathrow Terminal 3 all dressed in bright burgundy hoodies saying, ‘La Molina 2500 Alp’. Most of us stocked up on unnecessary food for the journey ahead of us, although some of us went shopping for last minute essentials. After the flight, we arrived to a warm breezy Spanish evening, but it was midnight when we all excitedly, half sleep-deprived trudged with our suitcases to the third floor to our rooms then turned in for the night. We all woke up in good spirits for our first day of skiing as we headed down to breakfast dressed for the day. Then we had our ski fittings, and headed to the slopes where we were grouped by ability with our instructors for skiing. We headed back up after lunch and shedding some layers as the sun was out to resume our day of skiing. In the evening, we went ice-skating to enjoy witnessing our friends falling over then laughing hysterically about it and falling over with them. The next day, during our afternoon skiing session, we came across an icy red slope. All of us fell over one by one. So after Francais (my ski instructor) helped us back up to our feet, we all took of our skis and slid down the majority of the ice covered slope. After making snow angels and having a massive snowball fight, we proceeded to put on our skis and ski back down as it was the end of our session today. We were taken to a small convenience store called, ‘Gemma’ along the main road a twenty minute walk from the hotel before dinner. Everyone bought more food, mostly consisting of souvenirs and hot Cheetos. Day 4 and 5: No poles! ‘Say goodbye to your Mothers, say goodbye to your Fathers,’ said Francais as we got off the gondola to our second black slope of the week. We all anxiously skied down as professional skiers sped past us as we somehow made it down in one piece covered in sprayed snow. The next day, we left our poles behind and practised jumps while skiing, getting to spray tons of snow at our friends in the process! But little did we know, the real challenge was yet to come. After lunch, Francais surprised us all with a game of catch. The catch – it was down a steep red slope – and we had no poles. The outcome wasn’t as bad as we thought though as we all only fell over once or twice. Day 7: Are we there yet? Everyone was excited to get home whilst being sad to leave this amazing week behind us. Our 5 am wake up call was a tough one, but we made it to the airport after a nap on the coach on way to the airport. After a trip to the Duty Free for more souvenirs, we finally arrived at London Heathrow after a two hour delay on the plane in Barcelona. Naturally for a ski trip, there had been ups and downs (!) but we all thoroughly enjoyed the trip! 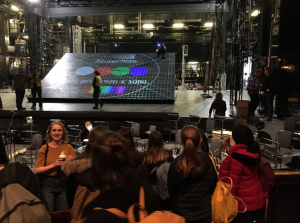 Behind The Scenes At The Magic Flute At The English National Opera! 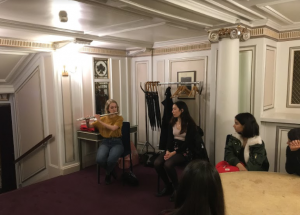 A trip to see the Magic Flute at The English National Opera is exciting enough, but this year, six girls from Year 9 and three in Year 12 were fortunate enough to have an exclusive behind-the-scenes tour by the principal flautist, Claire Wickes. 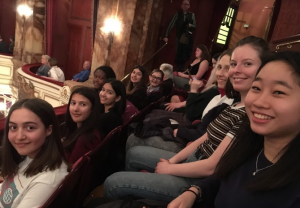 Claire showed us the auditorium being set up for the show – it was incredible to see how far back the room extended past the stage. You would never guess the amount of space needed to store props, cables and other equipment. According to Claire, nearly a hundred people work on any one production. This was evident as the whole place was buzzing with activity, everyone rushing to prepare the stage in time for the show to begin at 7:30. Once the show finally began, it was incredible. For the Magic Flute, the orchestra in the pit is elevated to the level of the audience, so we had a full view of everything they did. The singing was astounding, especially since it was completely unamplified. Thanks to Claire, we knew what to look out for: everything is performed live, even the sound effects! In the left-hand corner of the stage, a man drew on a chalkboard all the backdrops. In the right-hand corner, a woman in a soundproof box made all the sound effects. Overall, the evening was wonderful and worth staying up until 11:30 to see! 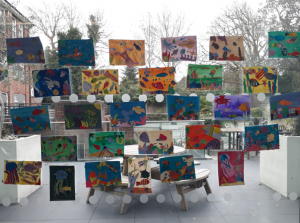 Our Eco Reps wanted to highlight the importance of this responsibility to protect our oceans through an art exhibition on display in the atrium. 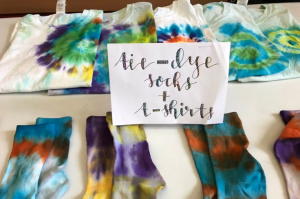 The issue of plastic waste and climate change continues to grow rapidly and students at NHEHS came together to raise awareness about this pressing matter. 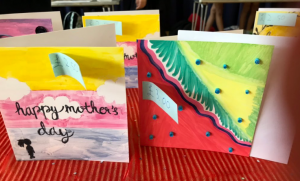 We interviewed Martha Price, one of the Geography Reps in Year 12, to give us further insight into the making of the exhibition. Tell us about the installation and how it was made. Each year group was assigned a marine animal to create out of recycled plastic and paper from their home and school. 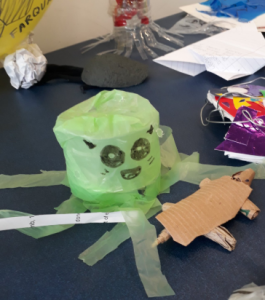 So, for example, Year 9 made octopuses and Year 11 made fish. 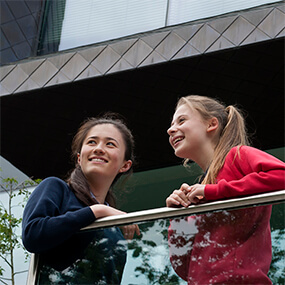 In light of the climate strike where over 1 million students across the world took to the streets to fight the climate crisis, students in this school wanted to make a difference. 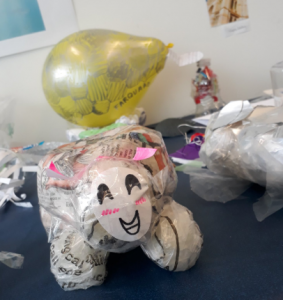 Therefore, on March 15th we organised a recycled art installation of sea animals made by every student in the school as every class watched the blue planet video educating them on how plastics are affecting the world around us. Plastic is in every part of our lives from our food to our clothes and has become a crisis in the last decade. 8 million tonnes go into the sea each year and, as it is incapable of breaking down, it creates huge garbage patches as well as getting into the food chain through micro plastic. It affects everybody and the environmental activist club wanted to raise awareness throughout school. What other tips do you have to prevent plastic pollution in school? – Bring in your own water bottle so you don’t need to buy single use plastic ones. – Recycle!! With our new bins. – Don’t litter – think about where it will end up. – Don’t buy take away coffee cups – bring in an eco-cup or drink it in the shop. – Recycle your clothes with charity shops or donate them. 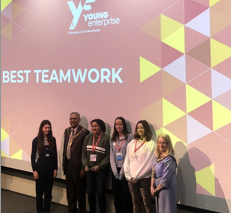 EartoEar, Connexus and Equator : Three amazing businesses with three amazing ideas, earned several plaudits at the Young Enterprise Company of the Year Awards last week with EartoEar earning a place at the West London Final. 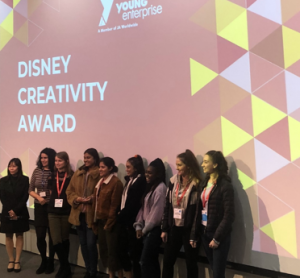 Connexus, whose product is a children’s storybook aimed to help young children learn Spanish won the ‘Disney Creativity Award’. 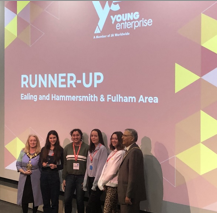 And EartoEar, who sell handmade earrings using recyclable pom-poms after identifying a gap in the market, won ‘Best Teamwork’ and also ‘Runner-up’ for Ealing, Hammersmith and Fulham which means they secure a place at the West London Final! “We have created a product that has resonated really well with our market and which we absolutely love too” (Anna Mackenzie, MD of EartoEar). 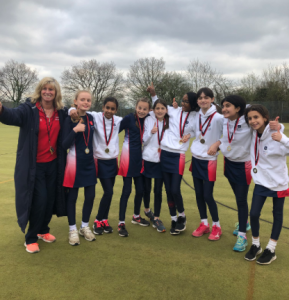 Our girls were competing against other teams from schools in the boroughs of Hillingdon and Hounslow and Ealing, Hammersmith and Fulham. They were judged on their trade stand, company report, a group interview and a presentation.